Our specialist compliance team is located at our Central London base near Canary Wharf, alongside our dedicated BICSc accredited Training Centre. This office acts as a ‘hub’ for managers and supervisors to meet and work. Led by our Compliance Director, this team is responsible for all health & safety, quality control, environmental and staff training and development requirements. The team also includes our Learning & Development Manager and Training & Compliance Manager. We are totally committed to our responsibilities for promoting awareness of Health & Safety issues and thoroughly training all levels of staff. Managers and key supervisors attend in-house and external training courses accredited to the Chartered Institute of Environmental Health (CIEH) and The Institute of Safety & Health (IOSH). All cleaning operatives receive health and safety training during their induction, and are also trained in manual handling and COSHH (Control Of Substances Hazardous to Health). 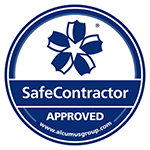 Our directors ensure that all necessary resources are available to implement required safe systems of work which is demonstrated with our SAFEContractor and Contractors Health And Safety Scheme (CHAS) accreditations. These schemes assess and provide accreditation of the health and safety competency of our company and underline our commitment to the highest possible standards of competence and care. We are committed to sustaining and protecting the environment and preserving the quality of the world in which we live. To minimise our environmental impact and comply with all legislation, we have specific policies and procedures in place, accredited with the Environmental Management System ISO 14001. All staff are fully aware of the company’s commitment to environmental issues, and the role that they need to play for it to be effective. Consumable and supply management – to ensure all consumables and supplies are purchased and delivered at a cost effective price with the quickest delivery time possible. Social responsibility and sustainability are an important part of our daily business practice. As a result we have become a preferred place to work, a desirable business partner and a respected member of the community. In partnership with Selden, our chemical supplier, we have introduce a range of cleaning products that are both effective and environmentally acceptable against the most stringent criteria. These cleaning products are 100% bio-degradable. However, being environmentally friendly doesn’t just mean using chemicals that are safe for the environment. It also means minimising their use, which is why we utilise a concentrated dosing system. Our dual objectives in this area are to reduce our electricity consumption and to source/purchase more energy-efficient equipment. In order to demonstrate our effective systems and high standards of service delivery we hold a number of worldwide, and industry recognised, standards. Certificates of these accreditations are available for your reference. Our Company places much emphasis on the training and development of employees at all levels. We are committed to providing our clients with a fully trained team of staff who are actively encouraged to develop their skills, knowledge and understanding of the activities that they perform and to use this knowledge and education to possibly further their career prospects and development. This commitment to training forms the foundation for the safe and correct operation of all activities requested by the client and ensures that all tasks are completed competently and professionally by fully trained operatives, therefore instilling confidence in our Company’s ability to provide the services requested. This understanding of the importance of staff training and development within our organisation is further highlighted by the fact that we have a BICSc accredited Training Centre which accommodates both our Learning & Development Manager and Training Manager. This centre of excellence provides the facilities to train educate and accredit staff who undertake our various training programmes and to also provide the facilities for continuous improvement and development opportunities. In addition, new staff are subject to an introductory presentation of the company which fully highlights and emphasises our history and the ethics, ethos and philosophy which are behind our success and which each employee is expected to adopt and embrace. We are very proud of the fact that all of our current supervisors and the vast majority of our managers have progressed through the various levels of employment available within our company. There are separate and specifically developed Management and Supervisor Training programmes in place and the continued development of our staff is both a reflection and confirmation of the success of our policies and of their own commitment and dedication to our company.